The modern syntax of memorialization is well-encapsulated by “In Memoriam A.H.H.” (1849), Alfred Lord Tennyson’s extended lament upon the sudden death of his friend Alfred Hallam. For the poem’s title, Tennyson appropriates a phrase previously deployed chiefly on tombstones and monuments. Etching words on pages rather than in stone, Tennyson is literally able to more fully express his felt disjunction between the seemingly limitless promise of abiding friendship and the decisive finality of death. The poem thus effectively modulates Steiner’s formulations: “I loved you” means precisely that one can no longer speak of “you” in the future tense. Yet “In Memoriam A.H.H.” also demonstrates that memorializing can create a future. Some of its verses have endured: “Nature, red in tooth and claw,” and “Tis better to have loved and lost, / Than never to have loved at all” are staples of Anglophone diction that serve well to transmit the poet’s sensibilities. Readers do not need to be acquainted with Tennyson or Hallam to recognize and even to embrace the poet’s grief: no less a public figure than Queen Victoria remarked that the poem offered her consolation as she mourned the death of Prince Albert. What Victoria found is there for the taking to this day. It is a short walk from the emotional vectors of Tennyson’s courageous and extended meditation on his melancholy to their counterparts in public life. The United States has spoken in memoriam most recently of its forty-first President, George Herbert Walker Bush. 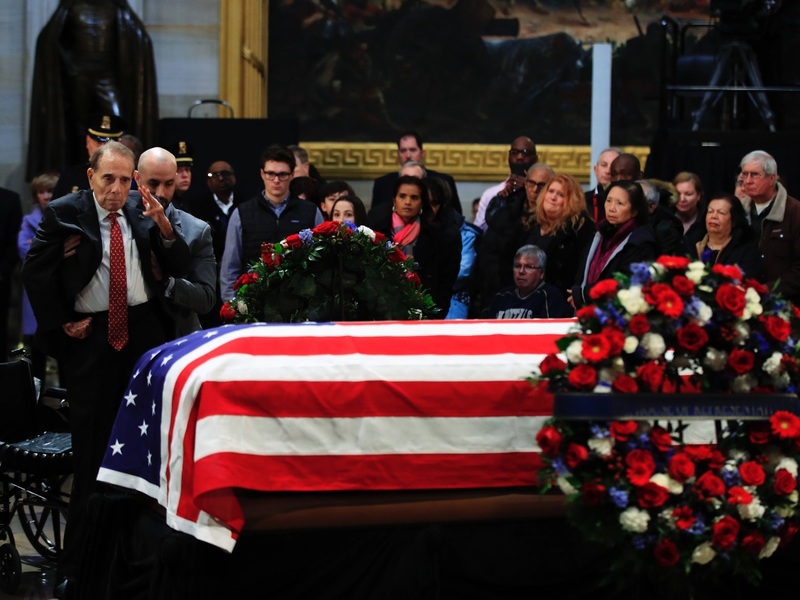 The occasion of his passing was indeed lament (the image of former Senator Robert Dole saluting the coffin comes immediately to mind). As such it was also an occasion of gestures to a postulated past of a kinder, gentler country and to the hope of its return. We must speak in memoriam to honor our nation’s leaders without giving the lie to the facts of our history. Doing so can only be answered by a recognition, prompted in part by poets such as Tennyson, that such distinctively human formulations as “I love you” and “we will make America great again” are themselves public acts: that what may begin as private counsel will, when expressed, become a real-world claim, with real-life consequences. Our politics issue from such innately, and widely variant, utterances. The fact that we are intrinsically and purposefully linguistic beings makes us, not at all incidentally, political beings precisely in the act of memoria. Whether in the past or the future tense, we cannot give the lie to the world in which we live. 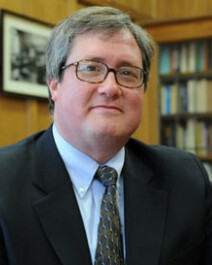 Richard A. Rosengarten (PhD’94) is Associate Professor of Religion, Literature, and Visual Culture at the University of Chicago Divinity School.